Most people set health goals in January after the holidays. But New Year's resolutions often get buried beneath the burden of cold winter chores and frigid dark days. Our good intentions are usually forgotten before spring arrives. So why not set health goals in the summer? A June Bloom program for wellness can set you up for a full year of nutritious eating and healthy physical activity. There are several evidence-based reasons to set your health goals in the summer. Researchers who have studied seasonal changes and their effect on physical activity have found (not surprisingly) that we are less active in the cold winter months. One large study found that physical activity increased by 1.4 MET-hours per day (121 calories per day) in men and 1.0 MET-hours per day (or 70 calories per day) in women during the summer in comparison with winter. The researchers even compared summer activity to January activity—when many of us are setting fitness goals—and still found that summer activity was greater. So, if you start an activity program for good health in the summer, you're giving yourself a built-in stimulus to reach your goals. In addition, days are longer in the summer. In most areas, you're likely to get about 9 hours of daylight in January. But in June, you're likely to get over 15 hours of daylight. According to the American Council on Exercise, lack of time is the most commonly cited reason for why people don't begin exercising. People also often complain that they don't have enough time to shop for and prepare healthy meals. So why not set health goals at a time when it feels like you have 5 or 6 more hours in the day to be successful? Of course, there is nothing wrong with making a New Year's resolution. The clean slate of a new year is a powerful motivator. But then again, resetting yourself with a June Bloom makes sense, too. It's like starting a race on the downhill instead of the uphill. Warm temperatures and longer days give you the boost that you need to be successful. Not sure what kind of healthy goal you should set? Weight loss goals, fitness goals, and healthy eating goals are popular. But there are many different health goal examples that you can adjust to fit your lifestyle. Keep in mind that SMART goals work best. These are goals that are specific, measurable, attainable, relevant, and time-bound. The more time you can take to clearly define your goals, the more likely you are to reach them. So once you decide how you'd like to bloom in June, write out your goals and post them in a place where you see them (and become inspired!) every day. Use these ideas as inspiration. Get kids involved in the kitchen. Let kids get creative with cooking in the summer. Assign one healthy meal challenge per week and let them plan and prep a meal for the family (with help from mom or dad as needed). A fun challenge might include making a dessert with seasonal fruit or finding ways to use at least 3 veggies in the meal. Make weekly visits to the farmer's market. Shopping for groceries at the local farmer's market is a fun way to learn about local and sustainable foods. It's also a great way to learn about new healthy foods. Talk to growers about different ways to prepare seasonal fruits and vegetables to expand your menu repertoire and boost nutrition. Increase your daily step count. If you're used to getting 10,000 steps per day during the cold weather months, add a few extra thousand in the summer. By increasing your step count to 12,000 or even 15,0000 steps per day you'll be motivated to get outside and walk during your lunch hour or take an evening stroll after dinner. Ask your spouse or neighbor to join you in the challenge and hold each other accountable. Bike to work. Set a goal to cycle a certain number or miles per week or a certain number of days per week. Track your progress with a fitness tracker or smartphone app. No bike? No problem! Many cities have rental bike stations dotted throughout the community so there are always wheels available for you to use. You'll not only burn extra calories, and improve leg strength, but you might also live longer as a result of your effort. 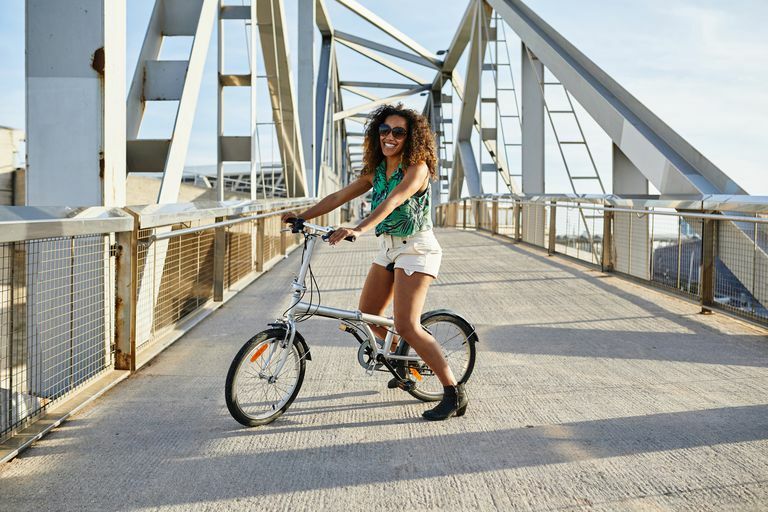 A study published in The BMJ (formerly The British Medical Journal) found that bike commuters are less likely to die from cardiovascular disease, cancer, and all-cause mortality. Visit the local pool for exercise. Moms and dads with kids might visit the community pool to let the kids play in the water. But the summer is a great time to use outdoor pools for exercise. Many community pools offer lap lane hours when the pool is available for adult exercise at no charge or for a small fee. If you're not a swimmer, take a lesson, try aqua jogging or sign up for an aqua aerobics class. Gather a family health history. Visiting family during summer break? Perhaps you're going to a family reunion. Take this opportunity to gather essential health data from family. Your healthcare provider can use the information to evaluate your risk for disease and make recommendations regarding screening tests so that you stay fit, healthy, and well for many more family reunions to come. Organize a park clean-up. Your local playground or park is a great place to exercise regardless of age. Kids can burn off excess energy on the jungle gym or slide, but adults can also use playground equipment to get a great workout. Keep your park clean and safe by gathering a few neighbors and scheduling a day to pick up trash, and check the safety of equipment. Then make a weekly play date to use the space for healthy activities, like a ball game and picnic. Rent a community garden space. Your town may have community garden plots available in the spring and summer that you can use to grow your own veggies, fruit, or flowers. This is another fun way to get kids involved in healthy cooking and eating. Let them choose seeds at the garden store and tend the garden throughout the summer months. When the harvest comes in, let them use their fresh food to prepare a healthy meal. Discover your healthy weight. Skimpy summer clothes often inspire body envy at the beach or simply out on the town. But the best body weight for you may not be the best body weight for someone else. Visit your health care provider and talk about the best body weight for you based on your activities and your health needs. If your BMI is too high or too low, talk about how it might impact your overall health profile over the long term. Then get referrals to a registered dietitian or other specialists to help you reach your optimal weight. Explore local hiking trails. Find at least one new path to explore each weekend in the summer. If you have kids, get out the maps and let them help you plan. Organize your starting location and a target route with mileage. Then prepare and pack healthy snacks for the day. You can even take time to research local birds and wildlife to look for on the day trip. Try a new sport. If you're bored with your current exercise routine, there is no better time of year to try a new activity than the summer. Running groups are active this time of year. Walkers and cyclists often organize group tours in the summer as well. You might find pick-up basketball games in the local park, summer softball leagues, or tennis lessons on community courts. Whatever sport you choose, commit to a weekly schedule for the duration of the summer. Your body will benefit from doing a new type of movement and learning new skills is great for the brain, too. Volunteer. If you and the kids have more time on your hands in the summer, use it to help others. Choose a volunteer activity and make a weekly or biweekly commitment to help out. Perhaps there is a senior center in the neighborhood that needs landscape work. Or you might serve meals to people who are out of work or going through a difficult transition. Volunteering is good for the soul, but it may provide health benefits as well. According to a report compiled by the Corporation for National and Community Service, volunteers report greater life satisfaction and better physical health than do non-volunteers, and their life satisfaction and physical health improves at a greater rate as a result of volunteering. There is no perfect time to set a new health goal. For the reasons listed above, many readers will find that starting a new exercise or healthy eating program works best during the warm summer months. But if you're reading this article in October, you shouldn't wait 8 months to start getting healthy. To be successful at any time of year, seek guidance from your healthcare provider so that your health goals are meaningful and relevant. Then gather support from friends, family members, coworkers, or even members of your religious community. Some people also connect with others online. Then keep each other accountable on the journey to wellness. You'll find challenges are easier to overcome with the encouragement of others, and success is more fun when you have friends to help you celebrate. Bryant CX, Green DJ, Merrill S, ACE Health Coach Manual. American Council on Exercise. 2013.